The temperatures are rising and families are spending more time outdoors. Before you take that summer beach vacation or picnic in the park, don’t forget to pack the sunscreen. Protecting your skin may be more important than you think. According to SkinCancer.org, one in five Americans will develop skin cancer (also known as melanoma) in their lifetime. But there are some ways you can reduce your risk. - Seek shade between 10 a.m. and 4 p.m.
- Cover up with clothing, including a broad-brimmed hat and UV blocking sunglasses. - Apply one ounce of sunscreen to your entire body 30 minutes before going outside. - Reapply sunscreen every two hours and immediately after swimming. When it comes to picking out sunscreen, there are some better than others. “The Skin Cancer Foundation recommends using a broad spectrum screen with SPF 15 or higher, or SPF 30 for extended outdoor stays. This will protect your skin from both UVA and UVB radiation,” Tim says. 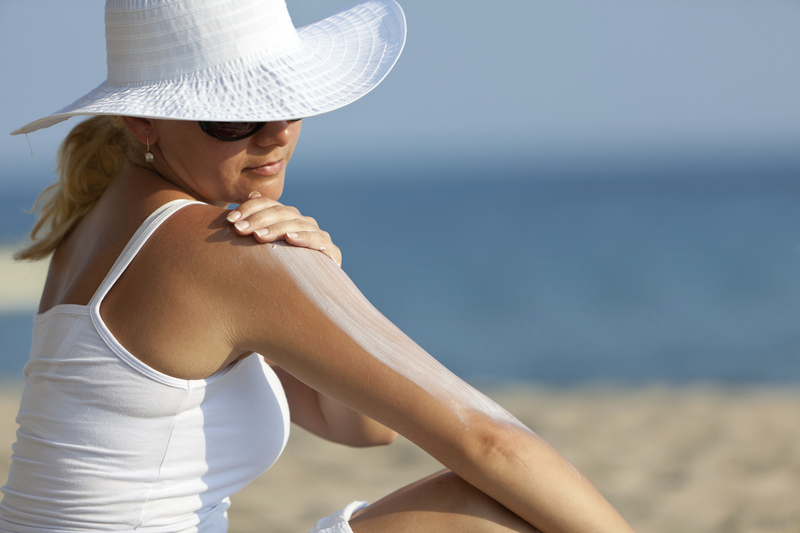 If you do skip the sunscreen, be aware that your risk for skin cancer doubles if you have more than five sunburns. But don’t think tanning beds are the way to go either. Another good idea is to check yourself for skin cancer. “Skin cancer is the uncontrolled growth of abnormal skin cells. When the cells are damaged by the light including sunshine or tanning beds this triggers mutations in the skin that multiply out of control and form tumors,” Tim says. And if you spot it, you can stop it. “Skin cancer is the most common of all cancers and is the easiest to cure, if diagnosed and treated early. If you spot anything suspicious such as a change in size, color or shape, see your dermatologist,” Tim says. No matter your age or skin color, prevention of skin damage should be an ongoing part of a healthy lifestyle. To find out more about the BSA Urgent Care, click here.